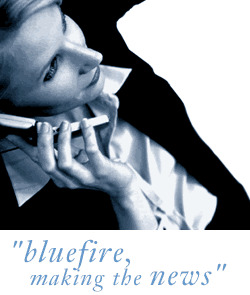 Bluefire Consulting are recruiting for an experienced Field Sales Executive to cover nationwide. The successful candidate will provide insurance-based products and services on a B2C and B2B level, where appointments are provided by an internal sales team. §	Displaying confidence and awareness in approaching sales on a face-to-face basis. §	Converting appointments to sales on a one-to-one basis. §	Explaining products and services to Clients and Customers. §	Delivering excellent customer service. The successful candidate must have a proven face to face sales background, in which they have proven objection handling skills. A confident sales approach is vital, and candidates must be able to demonstrate the ability to achieve sales targets. A full, clean driving license is essential for this role. Bluefire Consulting is an equal opportunities Employment Business/Agency specialising in Sales recruitment on a UK wide basis.